Gardening is a great way for seniors to get some sun and exercise with friends. Working in a flower bed is a very relaxing activity that will give seniors a sense of accomplishment when the plants start to bud. You can even grow herbs or vegetables to use at home, a move that will benefit your health as well. Speaking of healthy activities, summer is a great time to take up golf. 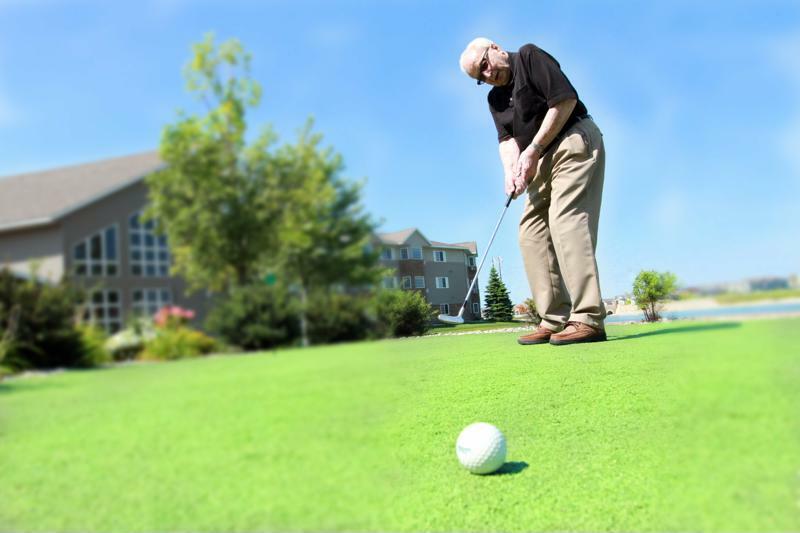 Golf is a fairly low-impact exercise that gives seniors hours of fun to boot. Gather some friends and schedule a group tee time, or play the back nine of a public course with someone from the assisted living community. Either way, you're sure to have a great time! Golf is a great outdoor exercise. Many communities across the country have beautiful public parks, and most of them will host great community events throughout the summer. From free movies and concerts to bird watching excursions and hikes, there are a ton of things to do in your local park! Even if you choose not to join the planned events, the park is still a great place to spend your day flying a kite, having a barbeque or even just sitting peacefully and listening to the rustling of the trees. Of course, some days may just be too hot to spend in the summer sun. On these occasions, head to your local museums or art galleries and learn something unique about the world around you. Not only will this give the chance to take in some local and historical beauty, walking through the museum is great exercise that will also keep you away from the sun. Use your free time to make a difference in your community by volunteering with local or national organizations. Whether you spend time serving meals to the less fortunate at your local community center or volunteer to be a foster grandparent, there are plenty of rewarding experiences to be had out there. Try joining the National Service's Senior Corps if you're looking for a few ideas.